He can be a little ‘stand offish’ with strangers but to you, your Rhodesian is a courageous, intelligent, active and loyal companion. Great with children, he makes a surprisingly amiable family member despite his size and guarding background. 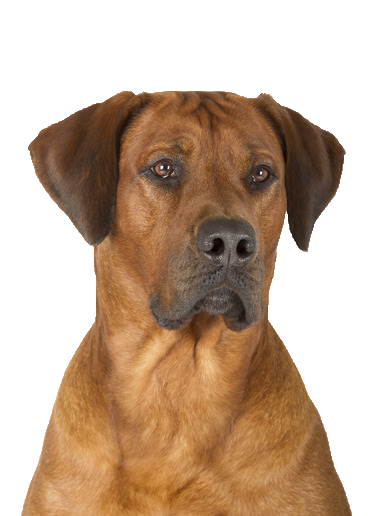 As a highly flexible and adaptable dog, your Ridgeback enjoys all sorts of stimulation and needs a good couple of walks per day as a minimum. Despite this, he can be a real home bird appreciating a comfy bed, but will often choose to tightly squeeze and curl his large frame into a much smaller space like a cat basket! Get him his own comfortable space with our great variety of luxury beds to choose from.